Once you become engaged and all of your family and friends have been notified, it is important to start finding your venue as soon as possible. Once your wedding venue is chosen, everything else will seemingly fall into place. Still not convinced? Here are 3 reasons you should avoid the planning headaches and consider booking your wedding venue early. During this time of year, many couples will take the engagement leap and start looking for the perfect venue for their wedding. While it may seem like there are a lot of dates available, they will quickly fill up as couples begin to commit to a certain location. Booking early ensures that your date is reserved and you won’t have to settle or change your plans at a later time. Once you have figured out the when and where details of your wedding, you will have the information needed to start formally inviting friends and family. The wedding venue you choose can have a direct impact on the number of people that are able to attend due to space constraints. Booking a venue early not only give you time to invite guests but refine the list if need be. Are you planning to have your wedding and wedding reception at different locations? That’s ok! Booking early gives you ample time to figure out the logistics of your special day including travel times, lodging and much more. On the other hand, waiting until the last minute could put a wrench in the works and lead to a poor experience for you or the attendees. 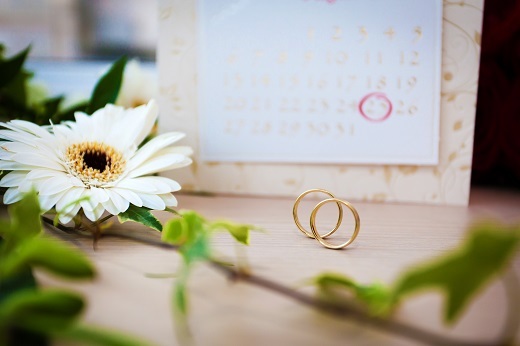 Booking your wedding venue early allows you to keep track of your budget more easily and potentially increase the financial resources you have available for other aspects, like catering, photography or a DJ. If planned far enough in advance, you may also find that you have extra wiggle room since you have more time to accrue funds. All things considered, booking your venue early is one of the easiest ways to stick to your budget.